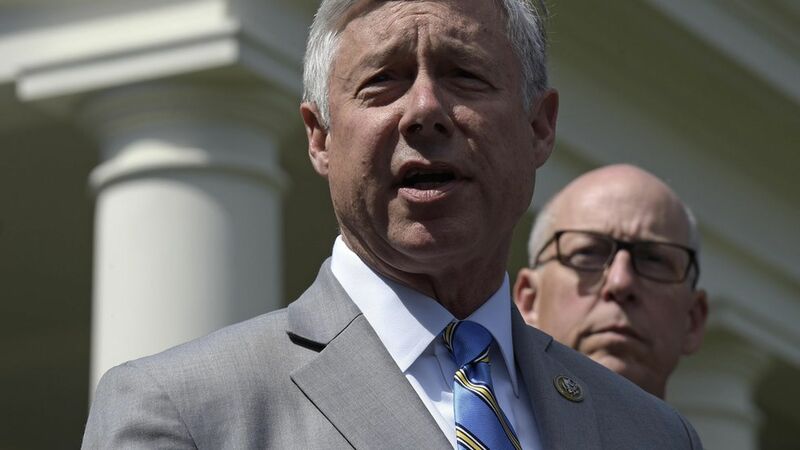 Rep. Fred Upton's proposed changes to the GOP health care bill won't be nearly enough to shield moderate Republicans from criticism that they're abandoning sick people. He's proposing $8 billion over five years to strengthen the bill's coverage of people with pre-existing conditions. Axios' Caitlin Owens reports that it's mainly to help people pay the penalty for not keeping themselves insured. The bottom line: Compared to what it would take to shield them from huge premium increases, that's "a drop in the bucket," Matthew Fiedler of the Brookings Institution told me. Upton told reporters at the White House after meeting with President Trump this morning that "I support the bill with this amendment." Total individual market claims over those five years will probably be about $500 billion, mostly from people with pre-existing conditions, per Fiedler. The $8 billion over five years might be enough to help 160,000 people with their premiums — but that's "a fraction of the millions with pre-existing conditions who are in the individual insurance market or uninsured," Larry Levitt of the Kaiser Family Foundation told me. The liberal Center for American Progress estimated yesterday that high-risk pools — the Republicans' proposed safety net for people with pre-existing conditions who can't buy regular insurance — would be underfunded by $19.7 billion a year, or $200 billion over 10 years.